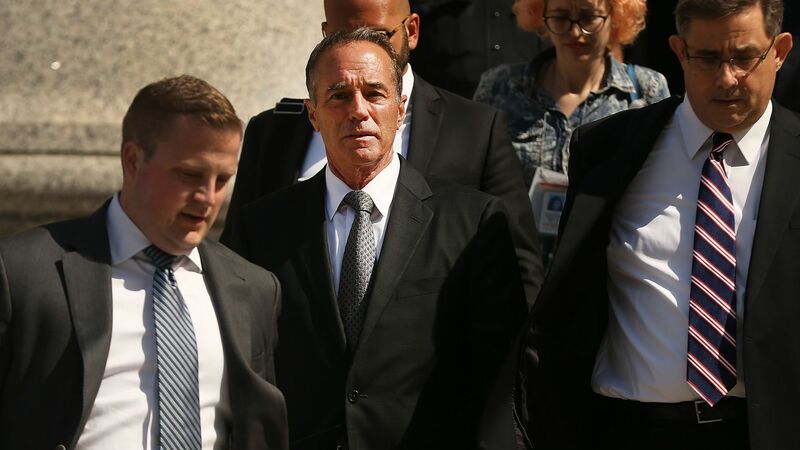 Rep. Chris Collins (R-N.Y.) will be on the ballot in November, despite initially saying he would suspend his reelection campaign due to an indictment for insider trading and lying to the FBI. Why it matters: Collins' controversy could potentially put his solidly red district in play this November. But state law has prohibited the GOP from replacing primary-winner Collins with a safer Republican nominee without the House member dying, moving out of state, or accepting a nomination for state office elsewhere, per the Washington Post.